Rhiannon Giddens, who earlier this month gave a show-stopping performance at the Americana Music Awards in Nashville, will perform in Goshen College Music Center’s Sauder Concert Hall on Tuesday, Oct. 13 at 7:30 p.m. as part of the Performing Arts Series. 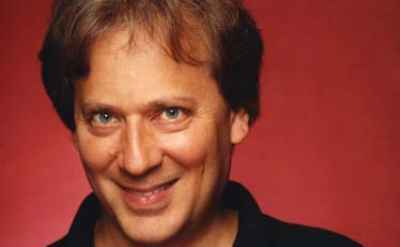 Visiting artist and concert pianist Arthur Greene will present a solo piano recital in Goshen College Music Center’s Rieth Recital Hall on Friday, Oct. 9, 2015 at 7:30 p.m.
Goshen College students are quickly learning that El Sistema, a Venezuelan music education program designed to help children escape poverty and transform communities, is more than just a Thursday night video chat with a professor from across the country. Goshen College has awarded its Dream Scholarship for undocumented students since about 2008. 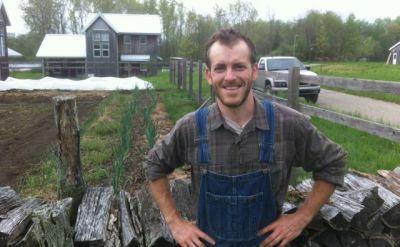 Community members are invited to learn more about why the Merry Lea Sustainable Farm was named third best college farm in the country at a workshop Saturday, October 3, entitled, “Sustainable Agriculture at Goshen College,” in Newcomer Center Room 17 from 3 to 5 p.m. 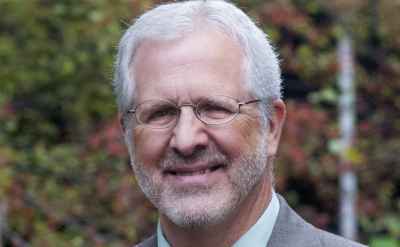 The event is part of Goshen College’s homecoming weekend. 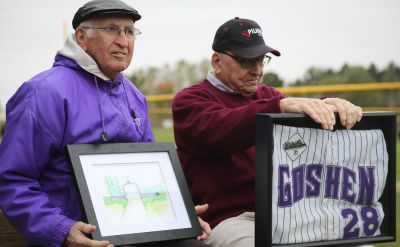 The Goshen College athletic department is proud to honor two pioneers who dedicated their lives to student-athletes, combining to coach Maple Leaf athletic teams for 120 seasons, with the renaming and dedication of the Dr. John Ingold Athletic Complex and the Dr. J. Harold "Sarge" Yoder Baseball Field. 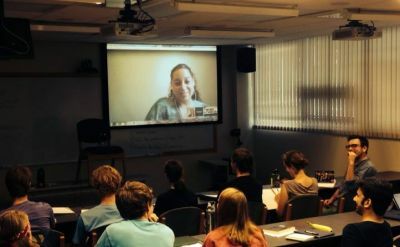 Anchored in large part by the foresight of Goshen College’s curriculum and the global mission of the Mennonite Central Committee, our area routinely reaches across international boundaries in an effort to help where help is in dire need. 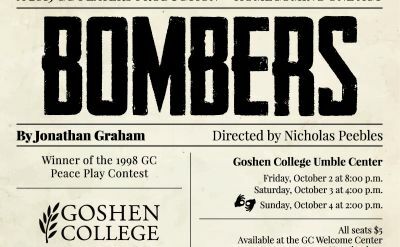 Written by Jonathan Graham, “Bombers” is returning to Goshen College, where it was the 1998 Peace Play prize winner.